Herbert Victor Wiley, Rear Admiral, born May 16, 1891, Wheeling, MO. He was appointed a midshipman at the USNA in 1911. In January 1944, Capt. Wiley, assumed command of the USS West Virginia. 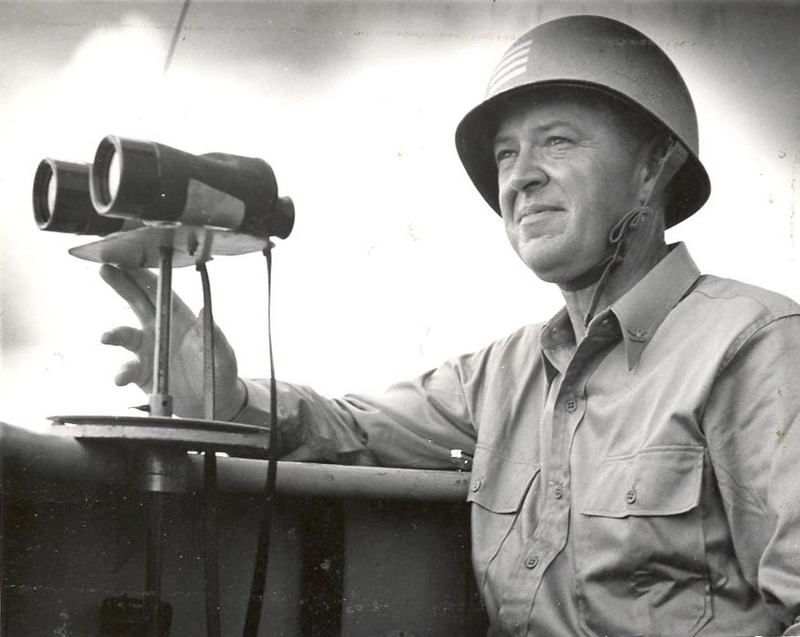 Under his command the ship participated in the liberation of the Philippines where the invasion of Leyte in October 1944 saw the first landing of the United States troops. On October 25, the West Virginia participated in the Battle of Surigao Strait. The first battleship to fire, she hit a Japanese battleship 13 miles away on the first salvo and fired more rounds than any other battleship. Later, under Wiley's command, the Wee Vee saw action at the landing on Mindoro and shelled the coast at Lingayen Gulf during landings there. For "extraordinary heroism" as commanding officer during the action of Surigao Strait, Adm. Wiley was awarded the Navy Cross. The citation reads in part, "A brilliant and fearless leader, Capt. Wiley conducted a vigorous and unrelenting attack against the Japanese in the face of intense opposition, thereby rendering invaluable assistance in sinking 10 hostile combatant vessels, including two of the enemy's powerful battleships. His expert seamanship, indomitable spirit and unwavering devotion of duty during combat contributed to the success of a significant naval battle." During naval operations at Iwo Jima during February and March 1945, Capt. Wiley brought the West Virginia in so close to the beach that medium caliber guns were able to be used against the entrenched enemy's bunkers and caves. For this and the Philippine action, Capt. Wiley was awarded the Legion of Merit, "for exceptionally meritorious conduct in the performance of outstanding services during operations against enemy Japanese forces." At Iwo, Capt. Wiley "fought off repeated heavy enemy air attacks throughout this extended combat and, maintaining superb control of his gallant ship, delivered devastating barrages of heavy caliber fire against hostile installations and troop concentrations." Still under Wiley's command, the West Virginia moved on to Okinawa and was hit by a kamikaze on April 1, 1945, but was not taken out of action. During 30 days and nights, Capt. Wiley remained on the bridge. For his achievements in this campaign he was awarded the Bronze Star for "heroic achievement against enemy Japanese forces at Okinawa, from March 25 to April 20, 1945." During the pre-assault bombardment of Okinawa and in supporting operations following the amphibious landings, "Capt. Wiley skillfully maneuvered through dangerous navigational waters within unusually close range of the island and, with his vessel exposed to intense fire and enemy shore guns, delivered prolonged and effective point-blank, counter-battery fire against Japanese installations." Capt. Wiley led the ship in "fighting off repeated aerial attacks and, maintaining his vulnerable positions despite the constant threat of enemy planes, suicide boats and midget submarines, [and] provided devastating barrages to cover special off-shore operations and to support the ground units combating a ruthless and fanatic enemy." Rear Adm. Wiley was commissioned ensign upon graduation from the USN Academy in June 1915. On Feb. 5, 1925, Wiley was designated a naval aviator (lighter than air) and subsequently served aboard the rigid airship USS Shenandoah and the USS Los Angeles which he commanded from May 1929-April 1930. He served as executive officer aboard the airship USS Akron until her loss off Barnegat Light, NJ, on April 4, 1933. He was the only officer to survive the crash. In June 1934, Capt. Wiley assumed command of the airship USS Macon, sister-ship of the Akron. The Macon was lost in the Pacific off Point Sur, CA, on Feb. 12, 1935. Wiley was commended by the Secretary of the Navy for his handling of the ship during the emergency and was awarded the Navy and Marine Corps Medal for swimming to the rescue of a fellow officer. 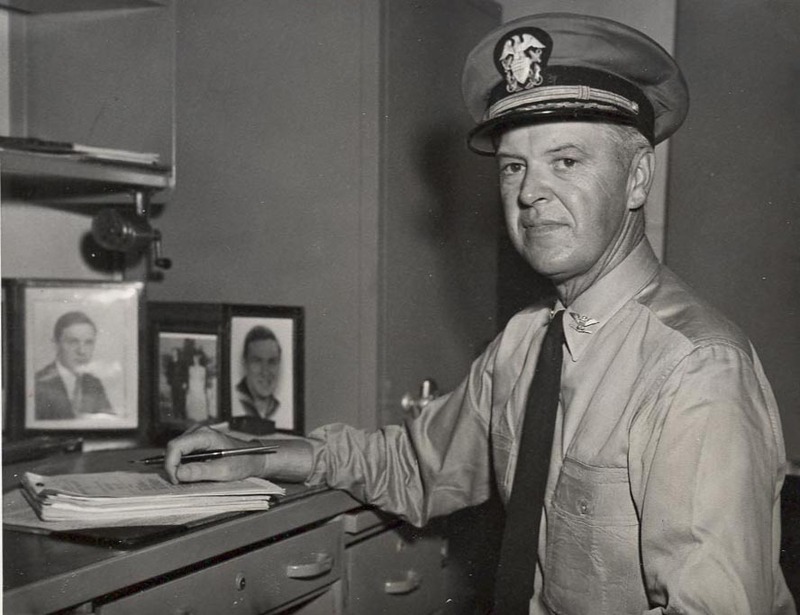 Rear Adm. Wiley served aboard and commanded a number of other surface ships and was several times an instructor at the USN Academy where he later served as head of the electrical engineering department. At the outbreak of WWII, Wiley was commander of Destroyer Sqdn. 29 under Adm. Thomas C. Hart, commander of the Asiatic Fleet. A daring attack by the aging destroyers under Wiley's command temporarily stalled the Japanese and Balikapan, Borneo and in the Battle of the Makassar Strait on Jan. 24, 1942, his destroyers made a night torpedo attack which inflicted heavy damage on an enemy convoy. Under Wiley's command the destroyers continued to fight in the Battle of Java Sea before withdrawing to southwest Australia. 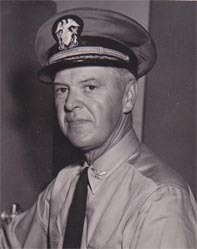 Retiring from the USN in 1947, Rear Adm. Wiley became a professor in the College of Engineering at the University of California, Berkeley. He passed away in California in May 1954. Herbert V. Wiley was the captain of the USS West Virginia from January 14, 1944 until May 2, 1945. After leaving the USS West Virginia, he was the CO of the US Naval Facility at Trinidad where he suffered a heart attack and retired. He became assistant dean of engineering at UC Berkeley. He passed away during a lecture trip to UCLA.